An awesome design from www.tshirtfort.com is featured every day on this blog. Great gifts and shoes are here too! What’s better than a cheeseburger? A flying cheeseburger. That is if you can catch it. Take a little bite of hamburger heaven with this sassy burger speaker. It sounds great playing all your favorite songs like why must I Be a Hamburger in love, Take this Burger and eat it, All my Burgers live in Texas, and Cheeseburger in Paradise. Wait is that last one a real song? Today’s I-pad case bops around that clock! This super cute Ipad case celebrates the fun and feisty fifties. Don’t be squaresville daddy-o get one today. It’s the cat’s meow dig? Take it to a beatnik poetry reading or maybe a sock hop. You don’t need to be sum kind of rocket surgeon operating in your magical spaceship lab to get this super smart tee. It’s great for professors, nuc-ular science-y guys, even rocket surgeons who are having an off day. This t-shirt may or may not improve your I.Q. make you fall in love, and help you learn to be a bartender in your spare time. So pick one up today poindexter. It goes awesome with propeller beanies! 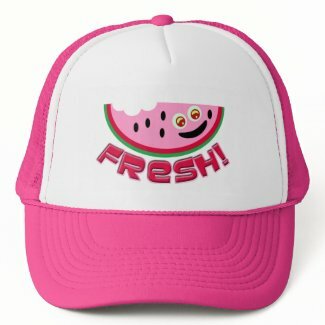 Don’t get fresh with me get a fresh new cap! Today’s cap is so fresh you need to get it right now. It’s great to wear on those hot summer days when you spend the whole day outside and are craving some fresh watermelon and other great fruits too. Wear it to the county fair! Today’s I-pad case is cute and dim sum! Get the cutest ipad case around. This case features a fun retro dim sum theme. If you love variety and dim sum then you will love this cute design. Get one today! 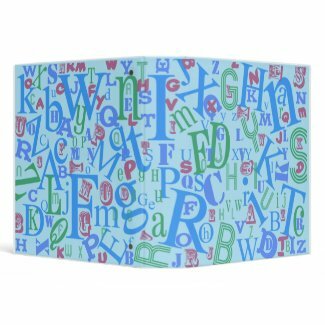 You don’t need to be a writer or avid reader to see that this binder is awesome from A to Z. Don’t keep all your important papers in a boring binder. Get one with some awesome alphabetical flair. Add some pages and make it a fun scrapbook or photo album too. Today’s shirt is so hot and relaxed! This shirt knows that hot tubbing is awesome. The only thing better is hanging out with your marshmallow pals in a tasty vat of delicious hot chocolate. Get this super cute hot chocolate shirt of the day today. You are going to love it! The Writer's Fort Just for writers! AddThis: Tell people about this blog! Today’s hat didn’t get old you did man! Today’s poster is for the jet set!